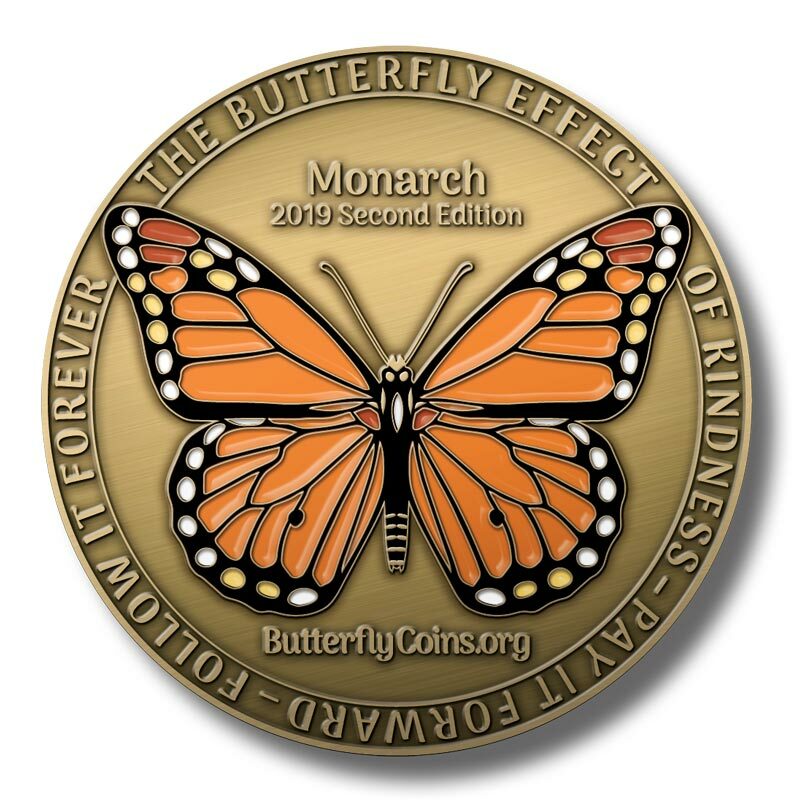 One of the things I like about having a butterfly coin with me is i look for people that are doing good. I know I will know when its the right person to give it to. I just ordered three of these coins today, the pay it forward idea of sharing the coin with someone that does an act of kindness is way cool. I am telling the people I share with to go to youtube and watch the movie trailer for pay it forward movie, pay it forward, a movement inspired by a movie. One of the things I like about the coin is everyday when I put it in my pocket and take it out at the end of the day my thoughts are to making a difference. This is a great idea and a cool site, thanks jeff for sending me the coin. Reminds me of the movie " pay it forward ". people are amazing when they open their hearts and care for other people. I do a lot with social media and when I had little money in 2008 I started marketing my book, ' The lobster and the chicken ' on youtube with short branding on a budget video's at lobster lab media. This site is a win win because its a social media marketing site and making a difference at the same time.. thanks Herb Palmer jr and p.s. I am going to buy 10 more of these to give away. This coin goes to Herb in NJ who is an author and a great entrepreneur. I am fortunate to be working with him and I look forward to many awesome experiences together in the years ahead! I hope this coin creates miracles and blesses many people on it's journey!